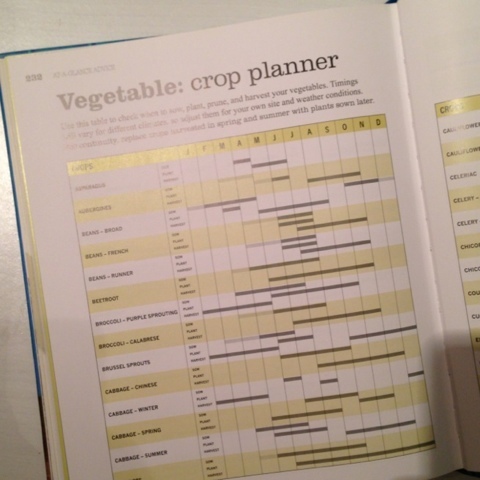 If, like me, you are a novice vegetable grower, this book is a must for you. We came a cross it a couple of years ago and it's been a huge inspiration to us, it's broken down into monthly chapters, with sections 'ready to eat', 'what to sow & plant', 'what to do' and 'what to harvest', amongst that are recipes and gardening advice. 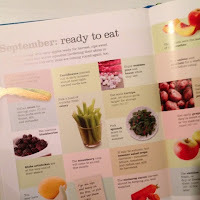 I love the sections and have currently been using the book to see what I can plant now and the ready to eat and what to harvest sections for ways I can store food now for future use (albeit not our own grown produce). 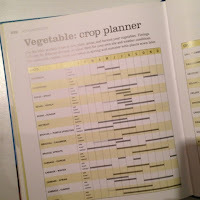 There's a great crop planner which I'm using to make our plans for spring and summer. This book is just what I need when I'm looking for gardening inspiration, when I look at the 'ready to eat section' it really motivates me to get into action and start planting because in a few short months you could have something for the kitchen table. One of my favourite sections is on wine making, a couple of years ago I attempted to make wine but it was awful and so I was put off. 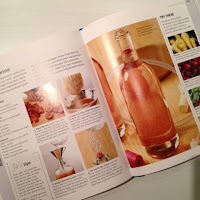 I'd really like to try again, this section gives great detail as to how wine can be made at home which is something I will definitely try agin. 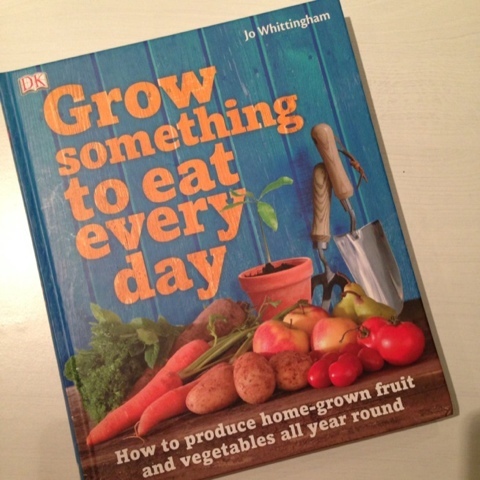 I can see this book still being on my bookshelf in 20+ years time!